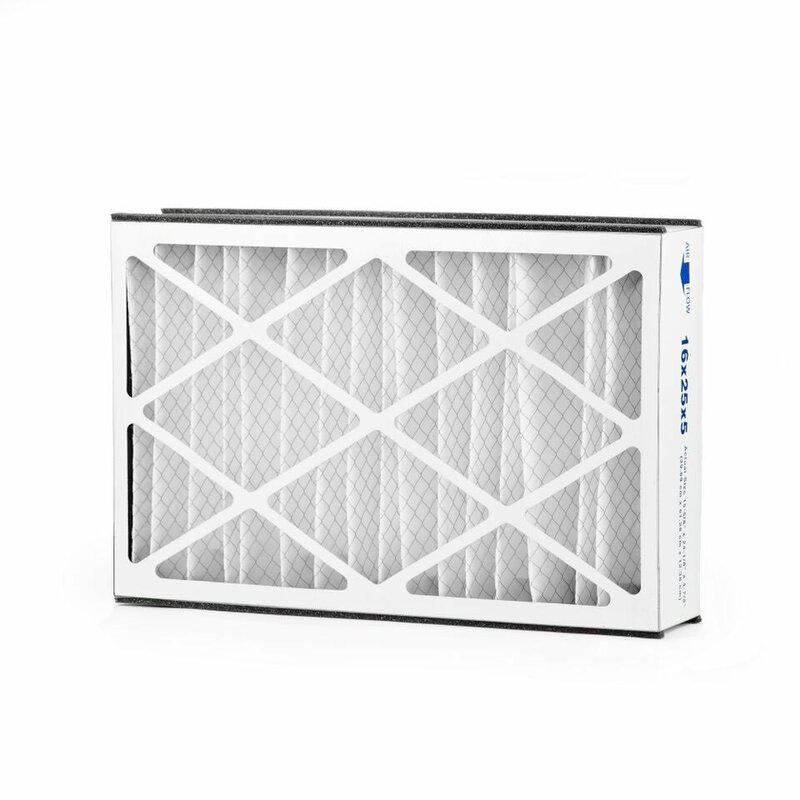 This FiltersFast Brand Trion 16x25x5 Air Bear Filters Merv8 is an economical alternative to the OEM Trion 16x25x5 Air Bear Media AC Filter 255649-105. For reducing unpleasant odor, this Trion Furnace Filter is designed with an efficient filtration media made of fine carbon powder bonded to lofted polyester media. 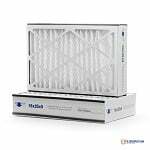 It effectively captures 85% of airborne pollutants such as dust, pet dander, pollen and smoke. The frame is constructed of moisture resistant 28 point beverage board. This pleated media filter has extended-surface pleats with a higher dirt holding capacity to help your air cleaner system operate with increased energy efficiency. 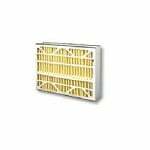 Pleated filters capture more dust particles than conventional panel fiberglass filters. The Trion 16x25x3 Filter has pre-applied gasketing on the assembled filter that prevents air by-pass. 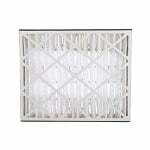 This Air Bear Filter is supported by a 30 gauge galvanized expanded metal grid. Nominal dimension: 16" x 25" x 5"
Actual dimension: 15 5/8" x 24 1/8" x 4 7/8"
This Trion MERV 8 16x25x5 Filter r Replacement can be used in the following Trion Air Cleaners: Trion Air Bear Supreme 1400 and Trion Air Bear 1400. This all-in-one, pre-assembled filter makes installation quick and easy. The maximum temperature capacity of this MERV 8 Air Bear filter is 180 degrees Fahrenheit (82 degrees Celsius) with continuous service. For greater energy efficiency and air filtration, upgrade to the MERV 13 Trion 16x25x5 Air Bear Furnace Filter.